I am happy for you to publicly acknowledge my support. (If different to your name). 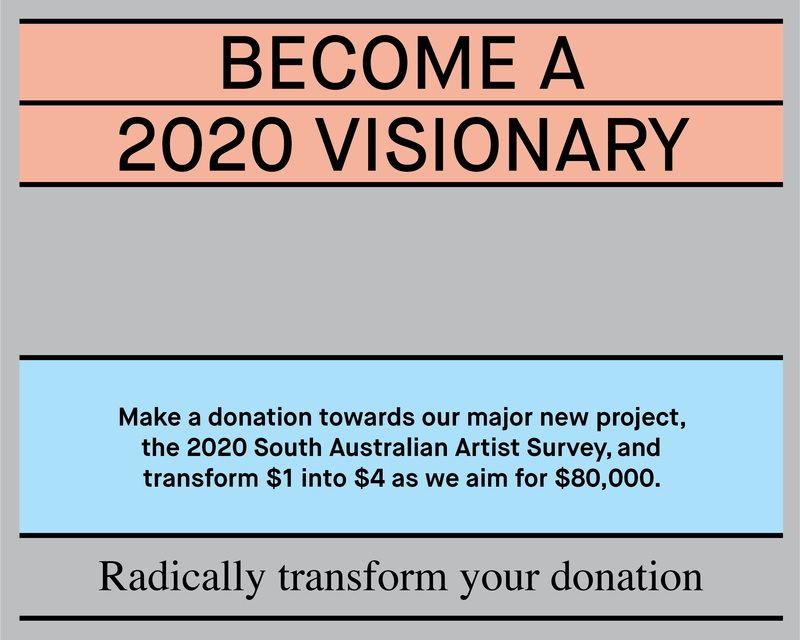 The South Australian Artist Survey is a new, multi-site exhibition opening in August 2020 which will support up to ten South Australian contemporary artists with major commissions at a significant moment in their career. It’s an opportunity to champion creativity, forge connection and break new ground in contemporary art. Thanks to the accelerated support of Creative Partnerships Australia’s Plus1 initiative and two generous private donors, you can increase your impact four-fold when making a tax-deductible donation towards this exhibition. Gifts of $200 and above will be acknowledged in the exhibition publication, as well as through our Supporters Program.